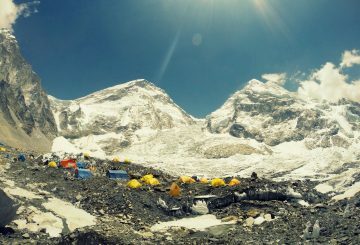 Best season : March / April / May and Sep / Oct / Nov.
Annapurna Base Camp Trekking is explore one of the best very-very famous and popular trek in Nepal. 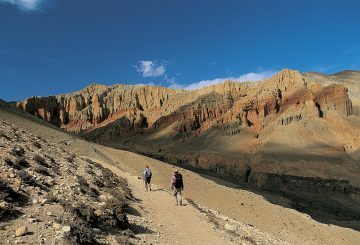 It is more distinct than any other treks by its variety of people, rich culture, tranquility, beautiful landscapes, Shangri-la and natural scenery. This trek lends you to North West of Pokhara through an ancient trek to Tibet across glaciers, gorges and waterfalls .From the Annapurna Base Camp you will have a close look of Mt. Annapurna and Mt. Machhapuchhre. Annapurna Base camp 4200M will be welcoming you patiently.A natural amphitheatre, ringed by Annapurna south 7219M. And I,Varahashikhar7847M, Annapurna 7485M. And Machhapuchhre 6993M, it serves as base camp for expeditions as well as favorite trek destination for mountain natural haven lovers. Beginning in Pokhara, you’ll climb to Naudanda (1,463 Nayapul and gain elevation slowly through. Also most attraction of this treks to see the different Community with majority of Gurungs , Magars, Hills side and Great Himalayan landscape hiding heaven of the earth. All of members should gather at hotel of Kathmandu today ,And for today our agency have arrange vehicle for pick up from airport. Note：today’s road is hilly road，about 200Km from Kathmandu to Pokhara，it will take about 6 hours by bus . Pokhara, the beautiful lake city and catch great views of the Himalayas from the city. After breakfast at hotel , we drive to Nayaul (1 hour and 20 minutes) and start the trek. From Birethanti, we trek to Ghandruk, a beautiful village mostly inhabited by the Gurung community. If time permits, we also visit the Gurung museum today. Overnight in Ghandruk. We descend via 2500 stone steps and cross the bridge above Chhomrong Khola. From here it is an uphill climb to Sinuwa. Next, we pass through a beautiful forest to Kuldihar followed by an easy downhill walk to Bamboo. Overnight at Dovan. We pass through a bamboo forest which is damp and cold then ascend steadily with a few steep sections. It is only after reaching Himalaya Hotel that the forest opens up and we are out in the sun again with astounding views of the glacial river below. It is a steep climb up through a much drier forest before reaching Hinku Cave. From here we can see the trail drop closer to the river before climbing again to Deurali, the most scenic stretch of the day. The vegetation is sparser, allowing magical views of the valley, the river below, and the sheer rock-face cliffs above with bands of wispy waterfalls. climb gently through a river bed then over a steep trail over to the mountain side. 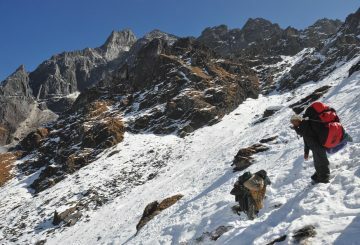 The hike from Bagar to Machhapuchhre Base Camp is somewhat strenuous. From Machhapuchhre base camp we get excellent views of the majestic Machhapuchhre along with Mt. Hiunchuli, Annapurna South, Annapurna I, Annapurna III, Gandharvachuli and Gangapurna which is certainly a rewarding experience. The vegetation disappears on our way to ABC and the path widens as we enter the Annapurna sanctuary. From here, we get sensational views of the near-vertical south face of Annapurna towering above us. The sanctuary boasts of a dynamic view without anything impeding the 360-degree panorama. From the base camp we again get to savor mesmerizing views of the Machhapuchhre, Annapurna South , Annapurna I, Hiunchuli and other peaks. 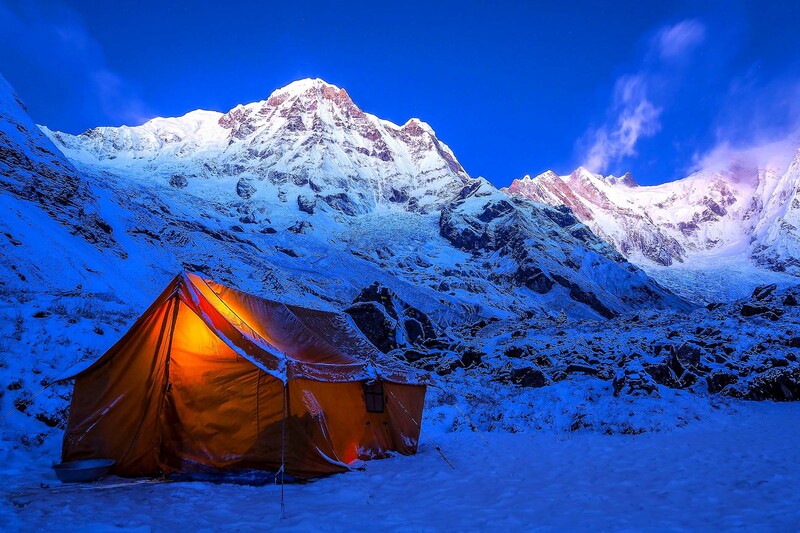 Overnight at Annapurna Base Camp. On our way to Naya Pul from Jhinu Danda, we get to enjoy the amazing hill landscape of western Nepal. We have lunch on the way. Our trek will end at Naya Pul where we board our vehicle to Pokhara. Overnight in Pokhara. After this a week of trek in this at beautiful city Pokhara you can do lots of things to enjoy yourself Paragliding ,Ultralight ,pony riding and boating etc. After arriving in Kathmandu, we will be escorted to our hotel. We enjoy the day leisurely or catch up on some last minute shopping or explore any landmarks we missed during our first day in Kathmandu. To celebrate the successful completion of our journey, we will have a farewell dinner in the evening. Overnight in Kathmandu. Our journey in Nepal comes to an end today! A VNTE representative will drop us off at the airport approximately 3 hours before our scheduled flight. 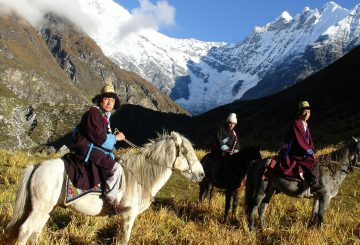 On our way to home, we have plenty of time to plan our next adventure in the wonderful country of Nepal. 6.3 night Twin sharing accommodation at Pokhara medium tourist Hotel with BB plan. 4.All kinds of air fare. 13.13 electronic things charging , heater ,WIFI and shower fee during trek.